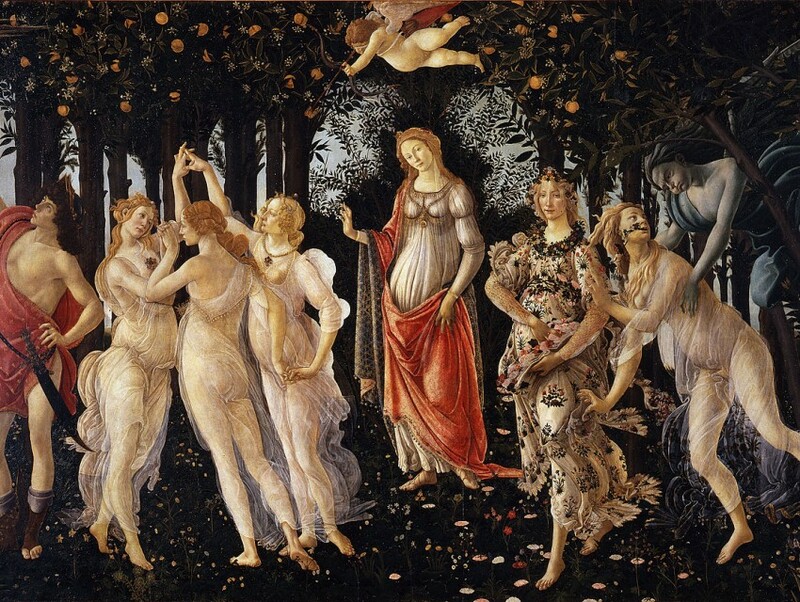 A tour visiting the Uffizi and Accademia galleries requires 4 hours. However, we don’t recommend doing this itinerary as they are the two busiest sites in Florence and the crowds at both can be very overwhelming rendering the experience stressful as well as difficult to see the works of art. We recommend in high season visiting these galleries early in the morning, at 9am or before, or, in the late afternoon. Following this strategy, it is not possible to visit the two galleries in one 4 hour tour because one gallery would be visited within 9am-4pm window that we try to avoid. Ideally, we recommend to visit each gallery over two days. For example, doing a 3 hour tour of the city including the Accademia galley and the following day visiting the Uffizi gallery for 2.5hours. 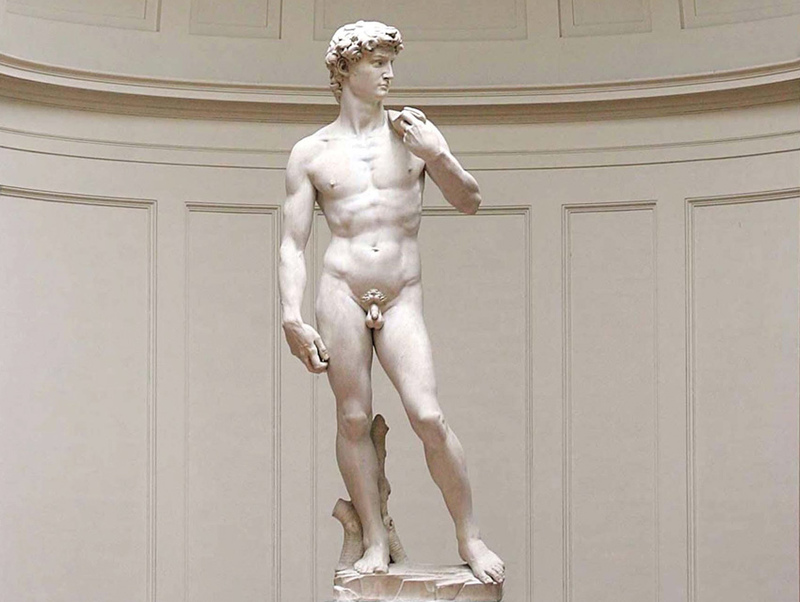 OPTION 1: morning tour 8.30am-11.30am starting at the Accademia gallery for the Michelangelo works and then visiting the historical centre & in the afternoon at 4pm visiting the Uffizi gallery for 2.5 hours (the gallery closes at 6.30pm, so this is the latest start time). The times are 8.30am-11.30am & 4pm-6.30pm. OPTION 2: morning tour 8.30am-11am visiting the Uffizi gallery for 2.5 hours & in the afternoon visiting the historical centre and finishing with the Accademia gallery for the Michelangelo works 3.30pm-6.30pm. The times are 8.30am-11am & 3.30pm-6.30pm. 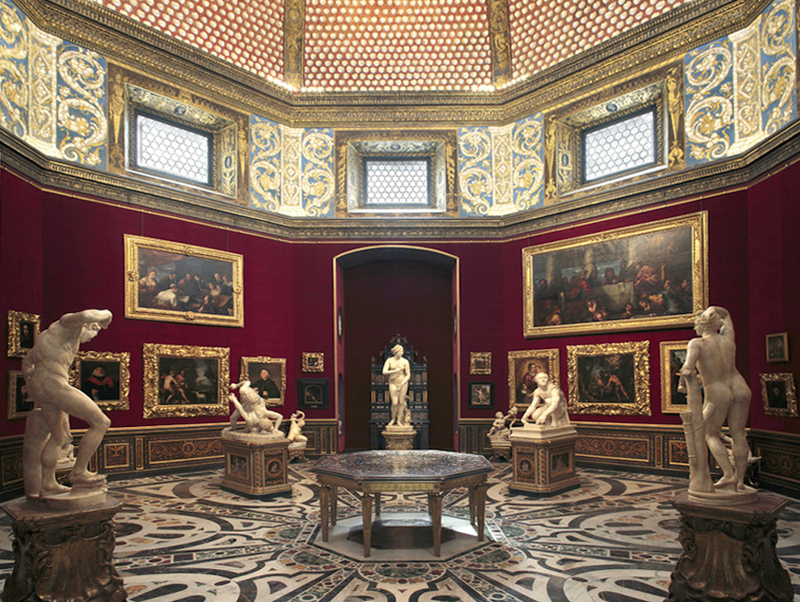 The tour of the Accademia gallery and the historical centre can be shortened to 2 or 2.5hours if you prefer. We have a tour length minimum of 2 hours. The art of the tour dedicated to the historical centre can be dedicated to Michelangelo and the society of the renaissance or more general information. Tickets to both galleries will be reserved in advance so as to avoid the long wait in the unreserved queue. Due to the very busy tourist season there is often an unavoidable short wait in the reserved queue also. There is no ulterior way other than the reservation that we make to avoid this. The reservation cost is 4euro per person. All visitors aged 6-17years pay this fee but they don’t pay the ticket admission (proof of age necessary showing a copy of passport). Children under 6years are not required to have a reservation and so are completely free. Tuesday is the busiest day of the week as the galleries are closed on Monday. During the very busy tourist season we strongly advise to avoid booking this tour on Tuesday. If you must visit one of the galleries on Tuesday, we recommend a start time of 8.30am. We don’t recommend visiting in the late afternoon on Tuesdays (as we advise on the other days of the week) as it is simply too chaotic anytime after 8.30am on this day. So only like to visit one of the two galleries on this day and not incorporating both of them. To be determined upon confirmation of the tour. Tour not offered on Monday as both galleries are closed. 75€ when you book for up to 5 people. 85€ when you book for 6-9 people. 95€ when you book for 10 or more people. A 3 hour tour costs for a party of 5 people or less costs 225€ & a 2.5hour tour costs 187.50€, excluding admission fees. A 3 hour tour for a party comprising 6-9people inclusive costs 255€ & a 2.5hour tour costs 212.50€, excluding admission fees. Groups of 10 people and more will require headsets. They cost 2.50€ per person for a half day, 5€ for a full day, booked by Freya’s Florence. Payment for the tour can be made in cash at the end of the tour directly to the guide, or via paypal with an additional 4% to cover the paypal fees. Full price ticket at each gallery costs €16.50 (ticket €12.50 + reservation fee €4). Children from 6-17 years inclusive have free admission but reservation fee must be paid, €4. European Union students 18-26 years old are eligible for the reduced ticket, a student card is necessary for proof of enrolment in an institution. Freya’s Florence will book these in advance and they will be distributed at the beginning of the tour and used for the entire duration of the tour. For parties of 10people and less the total cost for a half day tour is €25 or for a full day tour the cost is €50. For parties greater than 10pax the cost of the headsets per person is €2.50 for a half day tour and €5 per person for a full day tour. Tickets to both galleries will be reserved in advance so as to avoid the long wait in the unreserved queue. Due to the very busy tourist season there is often an unavoidable short wait in the reserved queue also. It is not possible to make a reservation to avoid the long wait on the first Sunday of the month. *Tuesday is the busiest day of the week as the galleries are closed on Monday. It is advisable, when possible, to avoid booking this tour on Tuesday. If it is the only day possible, we recommend a start time of 8:30am. *The reservation fee for the ticket at both galleries is €4 per person. This is paid on the day at the ticket office upon entering the gallery, the reservation fee and the ticket fee make the total cost of the ticket. If on the day of the tour, the number of the people in your party is less than the original number when the tour was booked, the reservation fee for the missing people must be paid regardless.